It seems wherever conservative speaker Milo Yiannopoulos goes, he causes delicate little snowflakes to melt into puddles of leaky goo looking feverishly for their safe space after being confronted by views contrary to their own. The incident occurred when the female protester interrupted the event over a comment Yiannopoulos made about feminism. Instead of caving and retracting his remark, Yiannopoulos doubled down and said that he viewed the ideology as a “cancer” on society. “Keep your hate speech out of this campus! Keep your hate speech out of this campus! 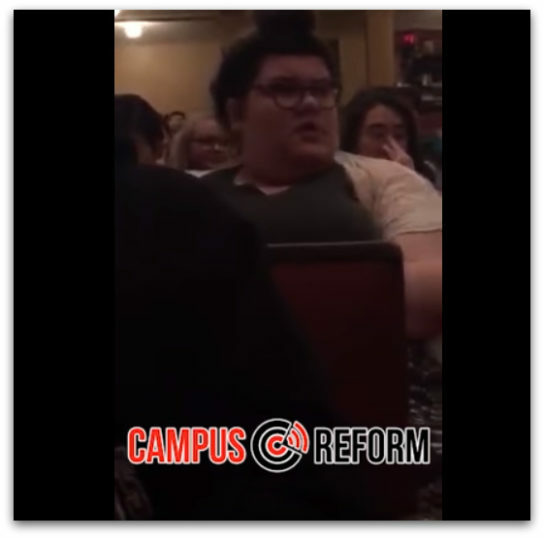 Keep your hate speech out of this campus!” the woman shouted.